You know that crossovers are popular when some of the most expensive luxury car manufacturers start assembling some. On 2015 North American International Auto Show the new Bentley crossover was announced, and will it come with the strange name and high amount of luxury in and out of its cabin. It is aimed to compete with the Rolls Royce crossover that’s also been announced, but we still don’t know when is it going to be released. Bentley’s CEO said that its name represents combination of the Bentley name and the most deep and off-road forests in the Northern hemisphere, the Taigas. There’s been a mention of Roque Bantayga on the Spanish Gran Canaria island. Wolfgang Durheimer, the CEO of Bentley also announced that the new SUV is going to come with fantastic performance, and that is going to be the most luxurious and the most expensive SUV in the world, or as he call it the Bentley of SUVs. He also said the the vehicle has been tested on various off-road terrains and that it achieved amazing results. 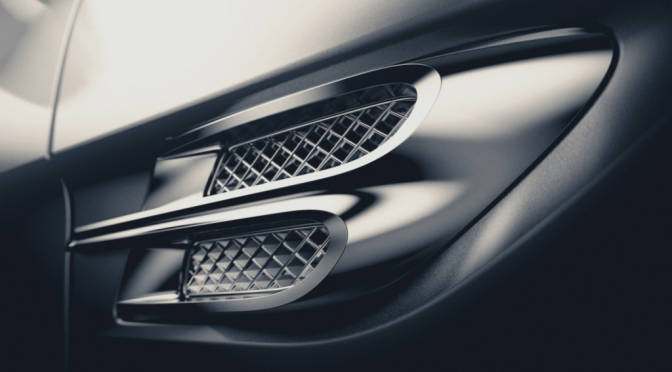 On the 2015 North American International Auto Show only the teaser image of the the B shaped air intake was shown, and the video of camouflaged SUV climbing sand dunes in Dubai. The new SUV is expected to come in two versions the powerful one with the V8 engine, and the one with the hybrid powertrain. It is also going to be based on the VW MLB platform and the engine is going to be built by Porsche. Bentley started this project in 2013 and until now they invested more than 800 million dollars in this vehicle’s development. Since the new Rolls Royce SUV haven’t been released yet, and nobody knows around what time is this debut going to come, the only competition in the moment for the new Bentley SUV would be some Range Rover premium models, but if all the things Wolfgang Durheimer are true, Rover is hardly be able to compete with the Bentley’s luxurious beasst.